During the Kelly File on FOX News Network last night, there was a lot of chatter out on Twitter questioning abuse of election procedures. I didn't see the Kelly File so I requested someone send it. I received a link this morning and share that here. The questionable tactics come into play where these hosts point to the GOP (an acronym for the Grand Old Party and synonymous with the Republican Party), with sensational headlines promising to go to war with Donald Trump and keep him from being the Republican nominee despite a signed Loyalty Pledge by all the candidates not to do so. Concerned citizens on Twitter pointed to Federal Law which would make it a crime for elected officials to interfere with elections (the GOP consists of at least some elected officials). It's been a build-up of events for some time. Some pointed to Bobby Jindal's actions while currently holding a political office. Others scowled at Scott Walker and others who have openly been active in attempting to influence voters while using their official office as their pulpit. This is a sticky situation because while candidates are allowed to attack an opponent's record, the murky area begins when an entire party is solicited by an organization with clear ties to administrators of office and the RNC. Chairman Reince Priebus distanced himself from the planned attacks by stressing to staff to stay out of it. Whether Priebus made the call for legal or ethical reasons is unknown. This focus is on political party, if elected officials are involved and whether or not the existing election laws have been violated. While it's not within our capacity to make legal judgments, it may be a good question to ask and then examine the possible reasons why these things are happening and who is behind it. While not admitting outright strategy, the objective seems to be to replace Donald Trump's current favor with the Republican electorate and pass it to Jeb Bush, a candidate associated with the failed foreign policy think tank, PNAC. A study of that non-profit shows that many members of the defunct organization are currently FOX News contributors, including PNAC's Chairman, Bill Kristol and former Democrat, Charles Krauthammer who were hand-picked by Fox News Senior Political Analyst, Britt Hume. Connecting the dots may shed some light on the reasons for disrupting the election of an outsider candidate. It could bring much needed sense an informed voter takes with him or her to the voting booth. As for whether or not it's legal, the Trump campaign has its own lawyers and are more than capable of handling election law problems, even if this one does appear to be unique. 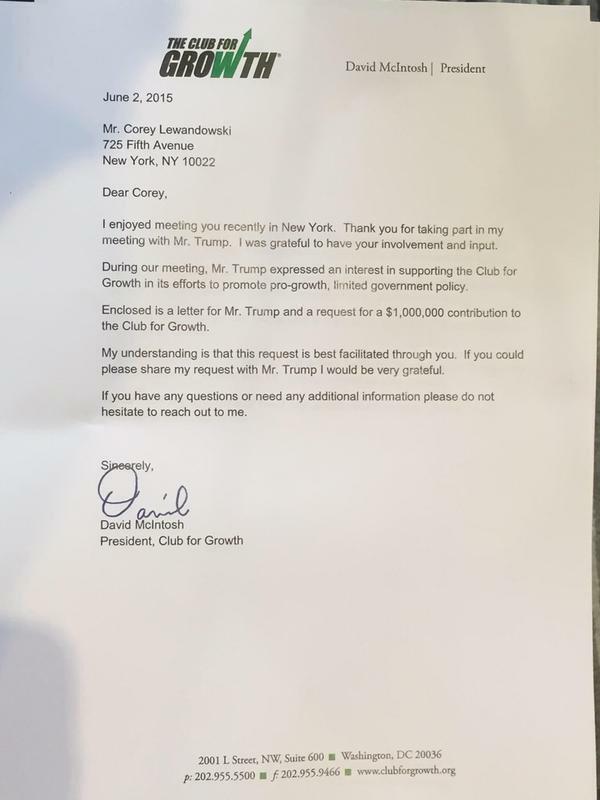 I am aware that Trump's campaign sent a Cease and Desist Letter to Club For Growth who initiated the hostile conduct after being denied a $1,000,000 request to Donald Trump made payable to their organization. Whether laws have been violated or not, one thing rings true and that is, supporters of Donald Trump are not happy with the outspoken threats to their current front runner candidate. I don't think you need to make any legal calls. Just report what the concerns are and let it play out with the public deciding for themselves. I'll look at this PNAC org today. The website has been suspended. For a primary Think Tank, that's odd. Good ref to the archives. I'd rather look at that than the spin put to it on the live opinion links. It does look like the old PNAC crew is very active with Murdoch's FOX shows. Curiously Hannity had Trump on right after the Megyn Kelly and no mention so far about the connections of these people to PNAC. I can't image that Trump isn't aware of it. 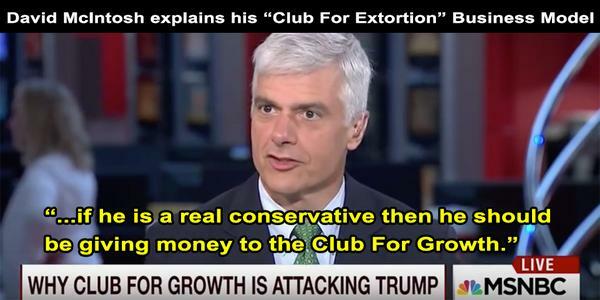 Can you find similar connections with Club4Growth? I'm doing it now. What a cobweb.